Is getting up each morning the biggest challenge of your day? 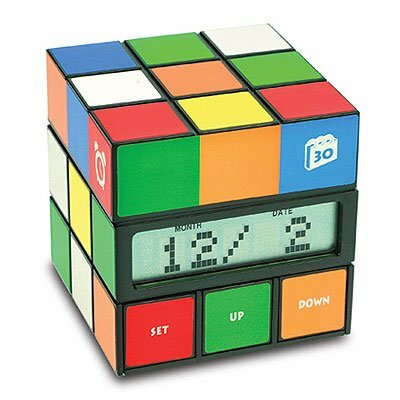 Well, make it easier with the stylishly colorful Cube Clock. 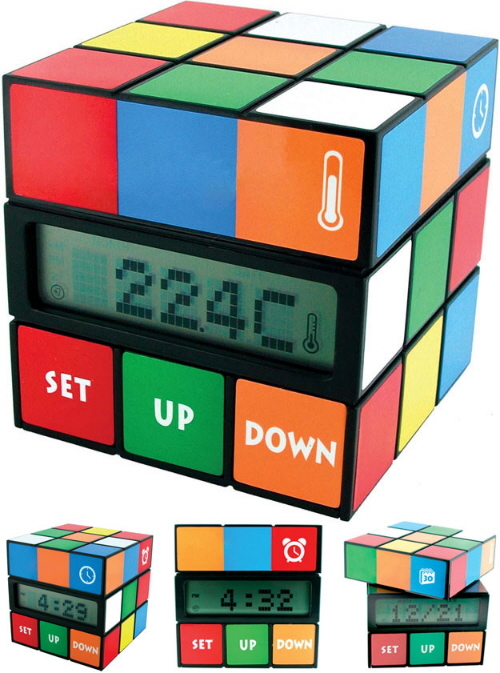 The Cube Clock can show you the time, the date, the temperature, or the alarm setting. You switch between these four different functions by turning around the top row of the cube. 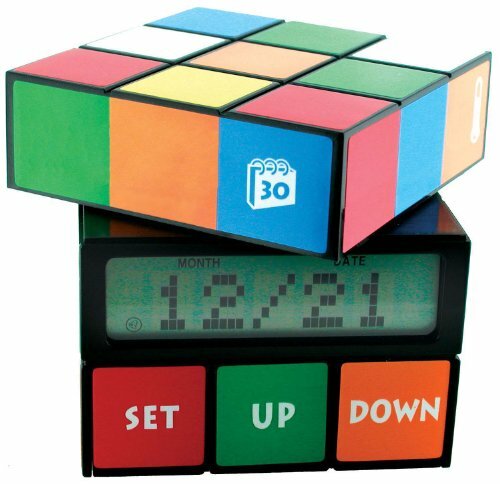 The Cube Clock is 3-inches high (and, being a cube, is 3 inches wide and deep, too) and requires one AA battery (not included). Put one of these cool Cube Clocks on your nightstand, and nobody will think you're square.